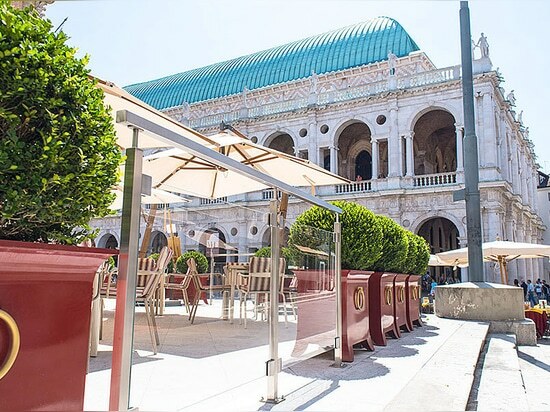 The Square Railing System of IAM Design has been installed on the Caffè Garibaldi’s terrace, one of the most refined historical places in the city of Vicenza, owned by the Common of Vicenza and located in Contrà Cavour overlooking Piazza dei Signori. 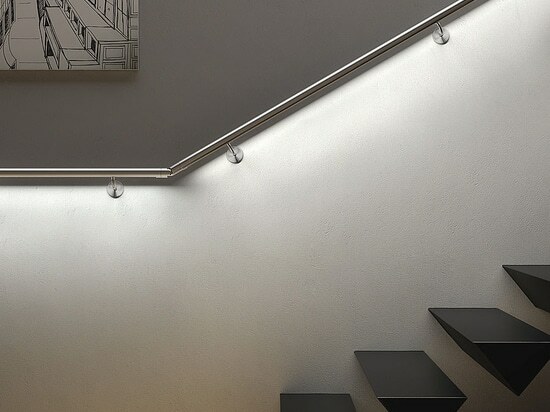 The protection elements have been realized in AISI 316 satin finished stainless steel complete with handrail and structural posts in square section (40X40 mm, 2mm thickness) anchored to the floor. 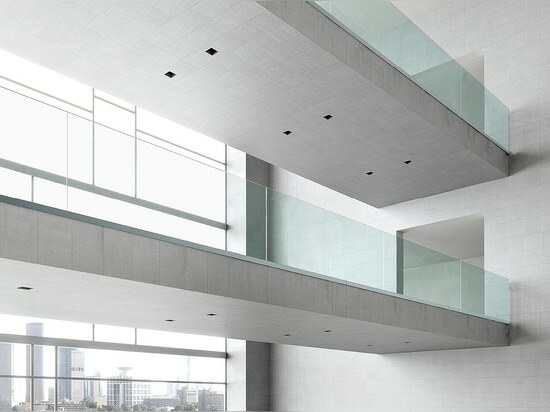 The balustrade is composed by laminated glass plates (6+2+6 mm), fixed to the posts by special dimensional supports. Some of these railings are adjustable, allowing to be set upon the different needs that the place requires during the daily business. 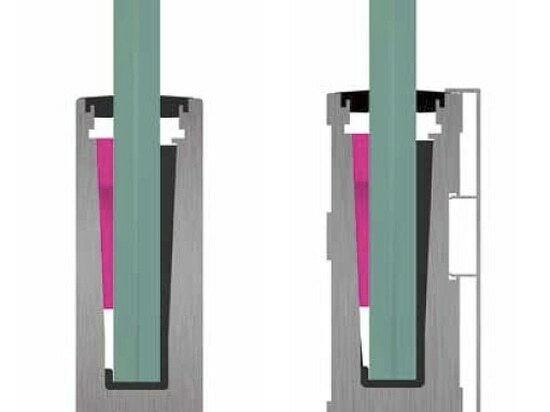 This protection system has been selected because of its general lightness with the purpose to satisfy the necessity of the buyer: to delimit the external space without preventing the view on the plaza. 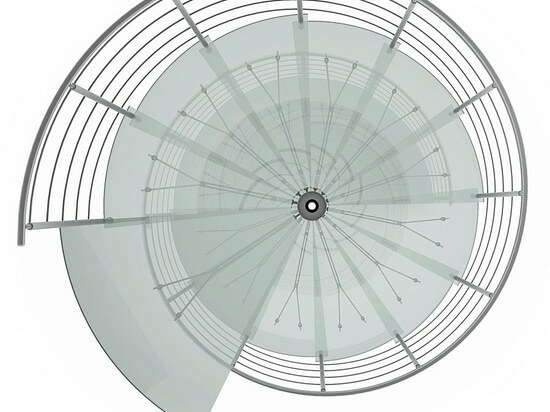 The planning and the installation of these railings have been carried out by Gonzato Contract exactly one year ago, in July 2014, in the main place of the historical center of Vicenza, at the shade of the Palladio’s monuments, such as Palazzo del Capitaniato, seat of the city council, and the Basilica Palladiana, which became national monument on May 9th, 2014. 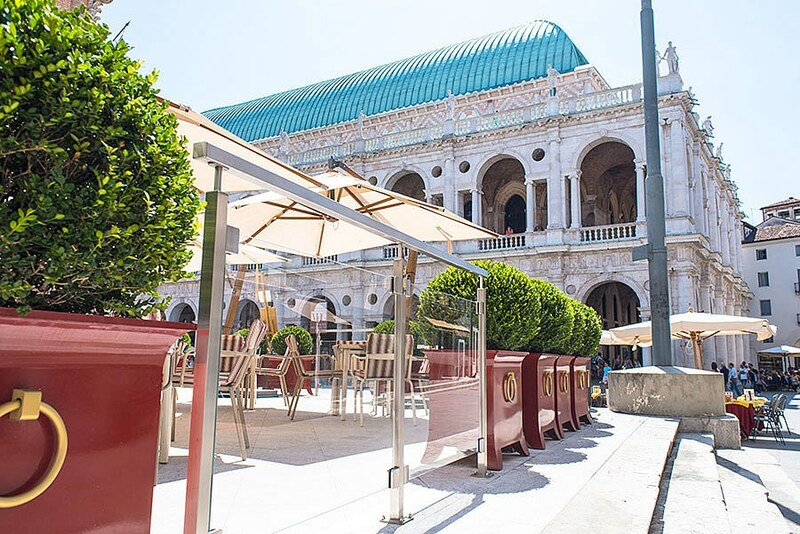 After the valuable restauration works carried out at the Caffè Garibaldi, the intervention of the Gonzato Contract has conferred more exclusiveness to one of the better attended terraces of the city of Palladio: not only a place of restore but also a place of culture and meeting. During the celebrations of Andrea Palladio’s 500th anniversary several monuments of Piazza dei Signori have been involved by important interventions of restauration such as: the Colonne del Leone e del Redentore, the Palazzo del Capitaniato and the Basilica Palladiana, which has become national monument on May 9th,2014. Also the Caffè Garibaldi has been restored in 2012 for one year under the supervision of Architect Romeo Sozzi who made it even more elegant and prestigious.